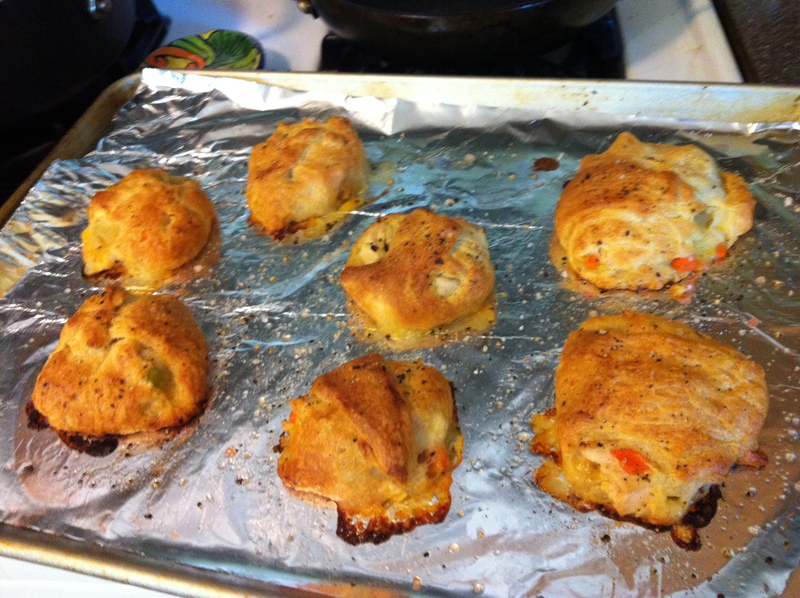 So I had this idea to make pie-less chicken Chicken Pot Pies by using pre-made croissant dough bought at the grocery store. I hoped it would work out and it made for some great very yummy hand-held snacks. Add butter to a medium skillet, sauté the onions and celery for a couple minutes. Add milk and let boil. 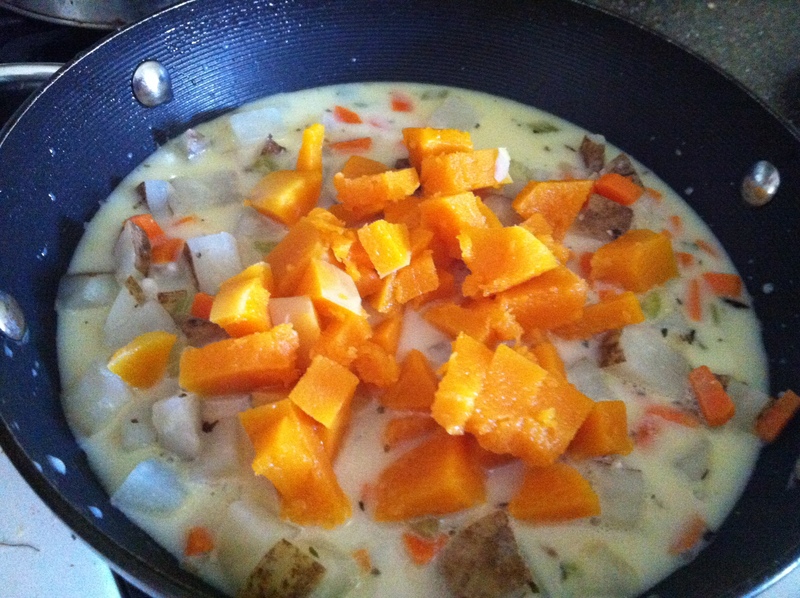 Add potatoes, cooked chicken and squash and cook until mixture becomes thick and is done. About 15-20 minutes. Make sure it is not too wet. If it is, add a little flour to thicken it up. Folding the Chicken Pot Pies, When you unwrap the croissant, they make long triangles. Lay them out on a lightly greased cookie sheet and place the mixture close to the longer straight side of the triangle. 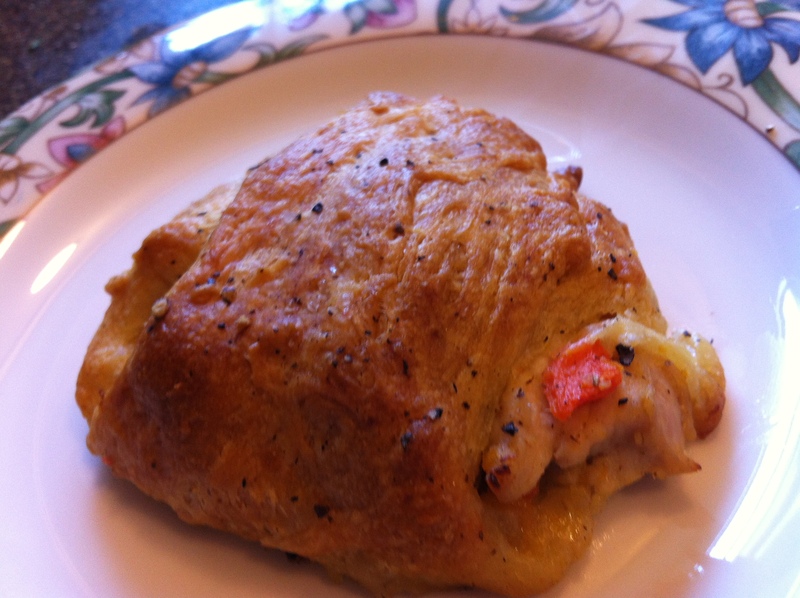 Fold smaller side over to cover like a stuffed croissant or turnover. Heat over to 400 degrees and cook for 15-20 minutes or so. Because they are stuffed, you need to add 5-7 minutes to the package directions and watch them get golden brown. Awesome! It’s one of my favorite comfort foods!